I first remember seeing sapphires as a teenager in a jeweller's shop in Silver Street in pre-Khmer Rouge Phnom Penh – the deep saturated blues of the gems from Palin on the border with Thailand were captivating. The sapphires my father bought that day are still in the family long after any trace of Silver Street has disappeared. 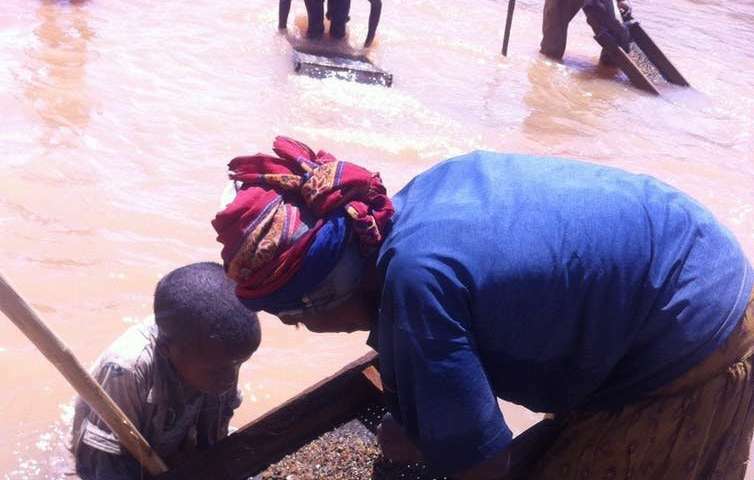 It was not until recently when I met a female sapphire miner in Madagascar that I began to appreciate the hard labour involved in the mining of these stones across Africa and Asia. Sapphires are crystals of the mineral corundum, made up mostly of atoms of aluminium and oxygen in a 2 to 3 ratio (Al₂0₃). The chemical bonds of aluminium and oxygen are particularly tight, making the sapphire one of the hardest minerals known – 9 out of 10 on a measure of hardness used for minerals known as Moh's scale. Sapphires are second to diamonds in hardness. This quality makes the stone valuable for jewellery, as it keeps its shine and does not scratch. The aluminium and oxygen do not reflect light, making sapphires transparent, another characteristic that is highly prized in a gemstone. The tight chemical bonds of corundum also make the stones very dense and relatively heavy. This means they are not swept away during weathering, but accumulate in alluvial deposits – that is, left behind by the flow of water. As a result, sapphires can be found by miners tunnelling down to ancient riverbeds or in bends of existing river beds. The colour of corundum comes not from the aluminium or the oxygen, but is due to impurities and inclusions in the crystalline structure. The blue of sapphires is from substitution of both iron and titanium in place of some of the aluminium. The shade of blue will depend on the ratio of ferrous iron and ferric iron, with higher levels of ferrous iron producing the inky blues characteristic of Australian sapphires. Corundum that is red is known as ruby – and results from the presence of chromium substituting for aluminium in the crystal structure. Yellow sapphires are often caused by the presence of iron without the involvement of titanium. Star sapphires – rare sapphires which reflect a star in certain light conditions – occur when fine needle-like inclusions of minerals such as rutile are aligned parallel to the six sides of the hexagonal crystal shape of a sapphire. When cut correctly, light reflects causing a six rayed star to appear. Sapphires and rubies were created many millions of years ago through one of two geological processes: metamorphic (involving rock transformation) or magmatic (associated with volcanoes). Metamorphic stones grew during ancient mountain building events such as continental collision – where heat and pressure caused the crystallisation of gem quality corundum. Metamorphic sapphire and ruby deposits are among the finest in the world. Traditionally they have been found in Sri Lanka, Mogok and Kashmir and more recently in Mozambique, Tanzania and especially Madagascar. Magmatic sapphires and rubies are not associated with a mountain building event but were carried to the surface in volcanic events from deep in the earth. Magmatic sapphires and rubies occur in eastern Australia, Southeast Asia, Africa, and North America. 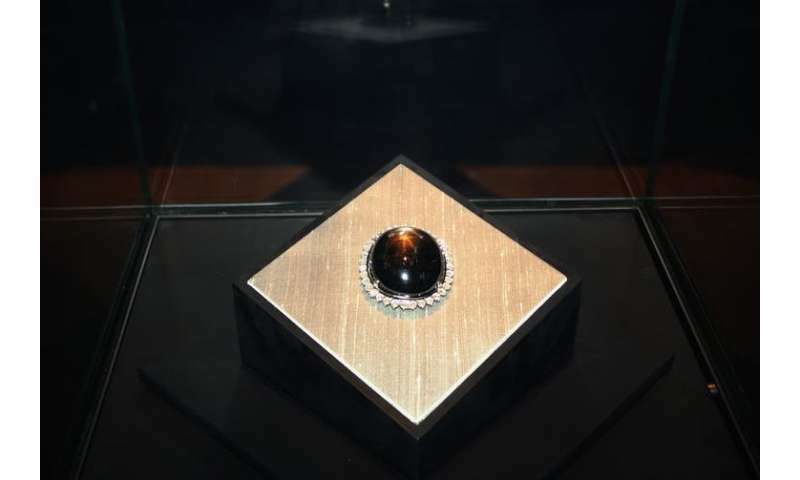 Queensland has produced some of the world's most famous sapphires: the Black Star of Queensland at 1,156 carats (uncut), is the largest black sapphire ever found. It was discovered on the Anakie sapphire fields in Central Queensland in 1938 by 12 year old Roy Spencer. His father used it as a door stop, until it was bought by an American collector, and cut and polished into a magnificent oval cabochon which displays a six point star. Its current value could be as much as US$50 million. Today there is a strong demand for fine quality sapphires from East Asian and European markets. Especially prized are the velvety blues of Kashmir sapphires, and the pink orange hues of the padparadscha sapphire (named after the lotus flower). Jewellers and consumers in the West are increasingly interested in the origin of their stones and to know that human rights have been respected in their mining and cutting. Industry bodies such as The Responsible Jewellery Council are seeking to create standards for coloured gemstones, which take into account the social and environmental impact of mining and the sustainability of the industry. The GemHub project – a collaboration between the Universities of Queensland, Delaware and Lausanne, and funded by Tiffany and Co Foundation – seeks to improve knowledge about coloured gemstones and sustainability issues linked to the mining, processing and trading of these precious resources. My work with this project has taken me to the world's gem stone hub of Jaipur to investigate the health and safety of gem cutters, particularly the risk of silicosis, an occupational lung disease caused by the inhalation of silica. Today, this has largely been controlled by a process of wet cutting and clean up, but the problem still remains in smaller shops among agate and quartz cutters, especially in cottage industries in Gujarat. I have also worked with remote Madagascan communities of sapphire mining women on a basic field gemmology training course written and delivered by young Australian geologist Charles Lawson. The women miners' and traders' negotiating skills are greatly enhanced by knowing their stones and being able to use simple tools such as tweezers and a loupe (a small magnifying glass). This has been financially empowering to the women, and they are now starting to organise their own trading and polishing shop. 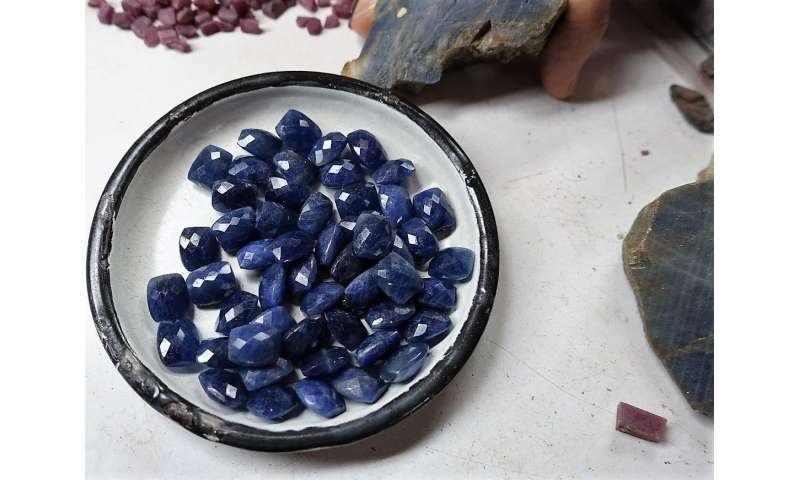 However, there is still some way to go before women and men working at the very first stage of the sapphire value chain receive equitable compensation for their work in mining and trading these rare and wonderful stones. The price for small rough stones can be under a dollar a carat. When cut and polished, the best of these stones can fetch up to AU$100 a carat and fine, larger stones many times that.